Airbus has kept its latest high-altitude, solar-powered drone aloft continuously for 25 days—the longest duration flight ever made. 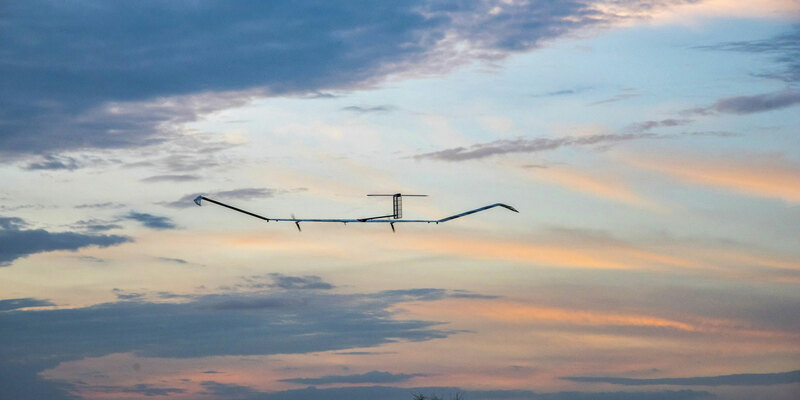 The first production Zephyr S HAPS (high altitude pseudo-satellite) took off from Arizona on July 11 and remained aloft for 25 days, 23 hours, and 57 minutes, besting the previous record, set by another Airbus Zephyr prototype, of more than 14 days. The record flight was supported by the UK government. Zephyr is a reusable, lightweight (approximately 165 pounds) solar-powered aircraft with a wingspan of 82 feet designed to fly at altitudes up to 70,000 feet continuously for up to 100 days and provide low-cost “local persistence” for a wide variety of applications. This includes maritime surveillance and services, border patrol missions, communications, forest-fire detection and monitoring, environmental disasters such as oil spills, and navigation. “This very successful maiden flight represents a new significant milestone in the Zephyr program, adding a new stratospheric flight endurance record which we hope will be formalized very shortly. We will in the coming days check all engineering data and outputs and start the preparation of additional flights planned for the second half of this year from our new operating site at the Wyndham airfield in Western Australia,” said Jana Rosenmann, head of unmanned aerial systems at Airbus.